Here we go once again ladies and gentleman as the Tampa Bay Rays and Tropicana Field welcome the New York Yankees to town for the second of a three game set. 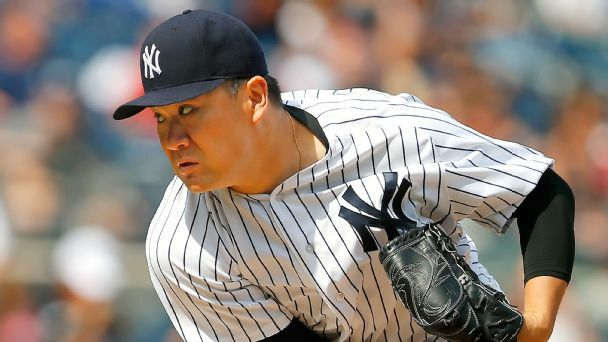 In the middle game of this series the Yankees will send their ace of the present Masahiro Tanaka to the mound looking to hold down now only the Rays offense but the Rays ace before the dreaded Tommy John surgery bug hit him, Alex Cobb. The game will be played at 7:10 pm ET inside Tropicana Field and can be seen on the YES Network and MLB TV. The Rays want to play spoilers, don’t be spoiled, get a win. The Yankees have one more game in Tampa before making the trip to Canada to take on the Toronto Blue Jays for the final four games of their road schedule this season. The season ends on October 2nd everyone and that’s just around the corner. It’s time to soak in and enjoy all the Yankees baseball we can between now and then. To do so with us you can like our page on Facebook or you can give our Twitter account @GreedyStripes a follow. The countdown has begun. After tonight there are just 10 games remaining on the Yankees schedule. Let’s win them all. Go Yankees! House Cleaning Was Required....Thank You. Daniel, thank you for purging the site of a cancer of comments. Posted by a fool, from a poisoned web site, that was flushed down the tubes. Adios farm reporter.